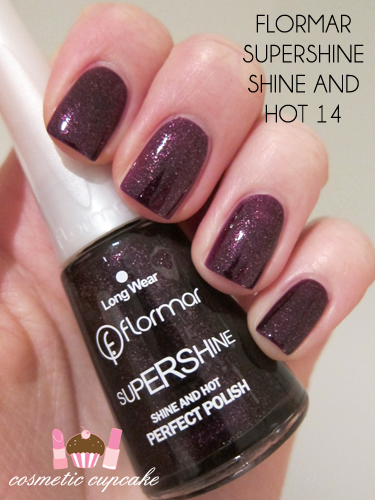 I started off with 2 coats of the delightful Flormar Supershine Shine and Hot Perfect Polish in 14. I picked this up when I did some hauling at the Flormar stand at Parramatta Westifeld thanks to the awesome 15% off code thanks to lovely Lilit. 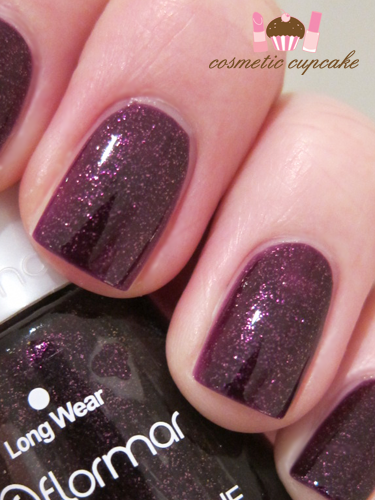 I have wanted to try Flormar polishes FOREVER since Deniz featured them in her NOTDS. I was really hoping they would have the duochromes but unfortunately not. Fingers crossed they will later! I then added a coat of Deborah Lippmann Bad Romance to ring fingers and thumb for an accent. Thanks for looking as always ladies =) International ladies, don't forget to enter my Beautysnapz giveaway here! I'd love to get my hands on some Flormars too. They're available here, but not where I live. I love this manicure- so pretty! I really need to get Bad Romance. 14 is stunning! The bottle shape is very interesting. Oh this is gorgeous, I love it! Bad Romance is a perfect compliment to the 14! Oh Bad Romance is stunning! This is a great manicure! So beautiful. I love Deborah Lippman's polishes that have the suspended glitter rounds! Simple but gorgeous!!! 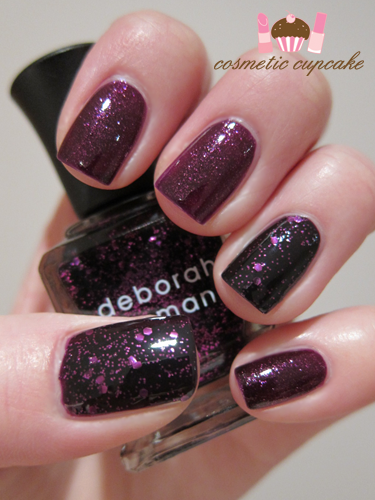 I need to lay my hands on some Deborah Lippmann polishhhhhh! And thanks for the shout out! You have Flormar in Australia too?! We have it here in Turkey but I didn't know it was available elsewhere..Where is it from I wonder? I like the glitter but I'm staying away from purple these days. Blue would be very nice too.